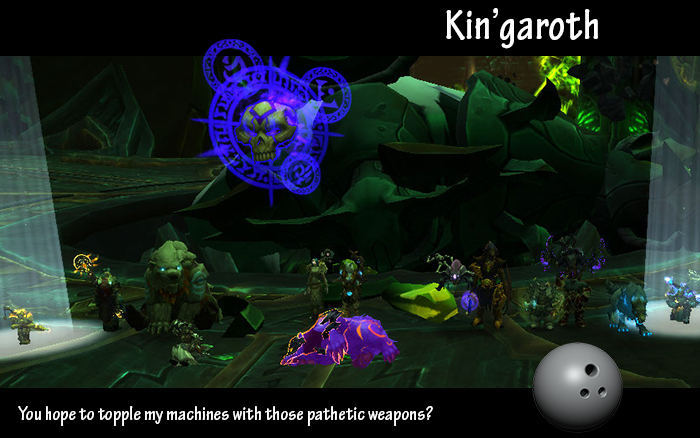 Kin'garoth is mostly a fight that revolves around positional awareness with 3 main abilities that emphasize this. A ruiner cast, oh hello lurker below. Forging strike, a stand 5 yards apart attack and diabolic bowling ball which you dodge as a frogger game throughout the fight until tanks blow them up. Before our Christmas break we were having some issues with the fight, mainly the bowling balls but once we managed to get there again after our break we made good progress. After fiddling with the positioning of the raid and the assignments on adds we started closing in on a kill and soon after kin'garoth and his war toys were no more.